Are you planning to move to a new house or preparing to renovate your current one? 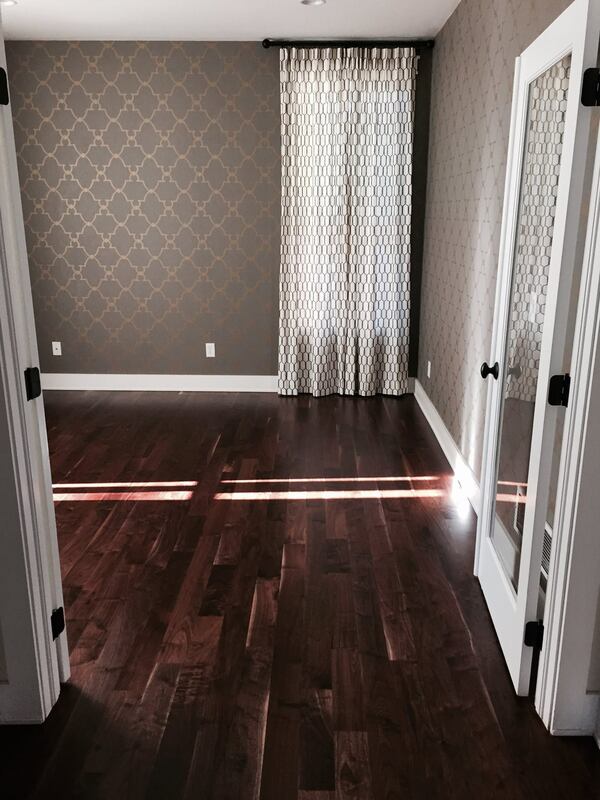 Have you been considering installing wood flooring as an option? If yes, then your first task is to research a few wood flooring companies and narrow down to the best one. Of course, you will need to know a few things to pick the best one. Here are some tips to help you pick the best wood flooring company in your area. No matter how clichéd it sounds to you, research is crucial when looking for any type of service providers. Read reviews, speak to existing clients, as you don’t want to pick the first company you find on the internet. They might sound affordable and look great but how do you know, until you compare them with other copmanies? The problem is, you don't know what you dont know. The more research you do the better off you will be. The web or the NWFA website (www.nwfa.org) is a great resource for wood flooring projects. Sometimes, a conversation on the phone can tell you a lot about a company and the people that work there. If they can’t get their representatives to act professional on the phone, they won’t do it for their workers too and what does that say about end product quality? If you have some questions about wood flooring, they should give you the appropriate answers. Free quotes are by no means a metric to know the level of a company’s services. Everyone is giving out free bids its cost of doing business in the service industry. However, they are a good way to know how much a company cares about its customers. Moreover, a free estimate gives you a good idea of how much you will be spending on wood flooring for your project. The wood flooring business is a serious, complicated business that requires a lot of expertise and professionalism to perform flawlessly. When a company is assocaiteed, certified or afflilated with leading industry suppliers, brands and the NWFA to perform wood flooring services, it shows they take the qulaity and the business as wood flooring professionals very serioulsy. It is also a sign that they know what they are doing. You can expect them to deliver high-quality services, reducing the risks of having quality or service issues. Insurance is also one of the crucial considerations when chosing a wood flooring company. A company insures its workers and and business operations for your safety. If something goes wrong during the renovation process, you don’t want to be liable for the damages and injuries to a worker or the liability of them damaging your property or your neighbours property. Wood flooring does not mean putting planks of wood on the floor. It is an expert’s job and involves a lot of intricacies, planning and execution techniques. When you need flooring, you can choose from a dozen of different types of woods. Each wood has a different hardness and density level. Only the professionals have the expertise to give you the finish and look you want. Choose a specialist. Make sure you are comparing apples to apples in each bid. Compare the same sized companies, and then compare the costs of their services with the value they provide. You should keep from hiring a company that provides affordable services but does not have the, experitse, licensure and insurance in place to complete the project on-time and within budget. The sweetness of a cheap price is always remebered with the bitter taste of poor quality and experience. Now that you are installing wood flooring in your house, you want to know the post-installation costs too. Your wood flooring will need maintenance and refinishing down the road. See how much it will cost you for these services if you hire the same company. There are also pre-installion cost to demo carpet, remove base baords or move a fridge or stove. Look for a company that can direct you to someone who can help with these additional services or even better, do those extra services themselves. Make sure to highlight this point on your checklist of hiring the best wood flooring company. What if your wood floor starts making weird cracking noises, starts gapping or the finsih starts peeling a week after installation? Does the company offer you any worthwhile warranties? Will they be around in the future to service those warranties, what type of flooring do they sell and what type of finsihes do they use. Lower prices, might indicate sud-standard products which might be detrimental to the long term perfromance of your floor. Make sure the copmany you chose uses qulaity products and flooring. Last but not least, take advantage of online reviews. These reviews are the most unbiased source of information to know about the company’s services. If most of the customers are happy with their services, you can have high hopes too. You have to realize that wood flooring, commercial or residential, is a considerable investment. Do not let haste make you waste your money on the wrong people. Use a company that specializes in their field.